The design of modern cars includes a number of components and assemblies that are mandatory for all their brands, models, classes, and types. These are, above all, the engine, gearbox, and brake system. The differential is also on the list. Every single car has a differential, and some vehicles even have a couple of them. serves as a reduction gear in combination with the main gear. The importance of the differential is hard to overestimate. That is why it is necessary to keep it in good condition. Differential oil is exactly the thing that cares for the differential maintaining. Differential fluid (also known as gear oil) is thicker than engine oil, and it’s specially designed to withstand high pressure and temperature change. Gear oil prevents the gearbox damage. However, each gear oil works differently in every situation. It is not that easy to choose the best gear oil as it may seem. It is necessary to know the properties of various gear oils to choose the best gear lubricant. In order to help select the oil for differential correctly, the best gear oils are gathered and presented on the list. They all perfectly fit differential, however, each one has its peculiarities, which should be considered. Manual gearbox requires very careful treatment and Red Line MT-90 oil provides it. MT-90 secures the necessary friction for most synchronizers of mechanical gearboxes, compared to many other synthetic fluids that are too slippery. 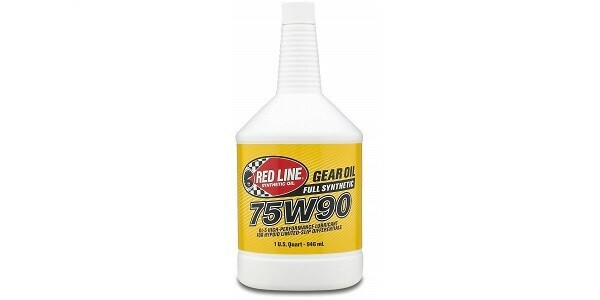 Red Line gear oil is suitable for almost any transmission type. The oil belongs to the best gear oil for differential category and ensures excellent protection for the gears and synchronizers. It provides the balanced fluidity for easy switching in cold climates. Also, MT-90 is safe for brass synchronizers, since it does not contain active sulfur, like most GL-5 oils. It is recommended for GL-1, GL-3, and GL-4, as well as for synchronized gearboxes, in which special fluids are preferred. Red Line MT-90 meets viscosity requirements for 75W, 80W, SAE 40, 10W40, and 15W40 engine oils. MT-90 is great for transmissions with high and medium mileage. It can be combined with mineral and other synthetic fluids. Red Line MT-90 eliminates crunch when shifting gears, even in cold weather. It is not recommended to use MT-90 with the hypoid differential gears because they require specially designed fluids. 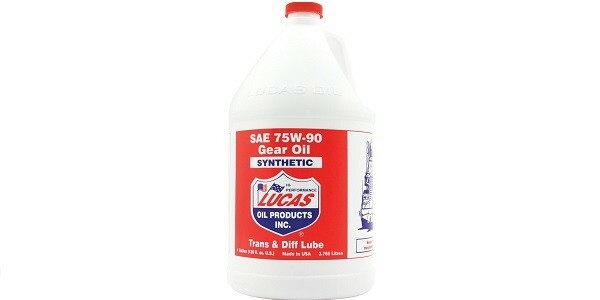 Lucas Oil 10048 is a synthetic differential fluid. This lubricant perfectly fits the heavy-duty and high-performance applications, for which many other gear lubes are not good enough. Lucas Oil is long-lasting and provides superb slickness. It includes a special additive package that secures the softening of gears and prevents from wringing out even when pressure is extremely high. It easily manages the most extreme conditions that other gear oils cannot cope with. 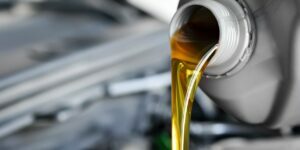 However, some vehicles may require using another additive with Lucas Oil 10048 to provide the best protection and operation without hesitation. It withstands high temperatures and does not lose its lubricity. Lucas Oil 10048 presents good shifting handling. The oil may cause the corrosion of soft-metal synchronizers. 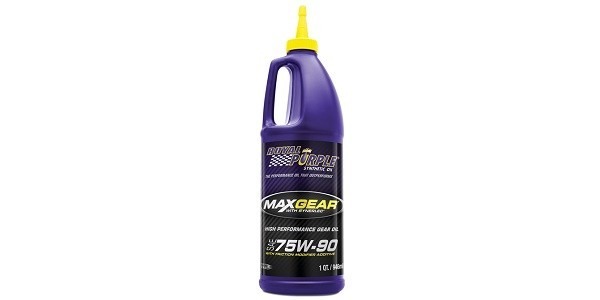 The 75W90 synthetic gear oil allows fast gear shifting, softening the synchronizers friction. Since it does not maintain active sulfur, it is safe for brass synchronizers. Red Line oil guarantees truly reliable protection for gears and synchronizers. However, it is not recommended to use it with most manual gearboxes because this gear oil has increased lubricity. This can disturb the correct operation of the synchronizers and lead to problems with gear shifting. This 75W90 gear oil ensures a stable viscosity for long enough periods of use. It also secures smooth clutch engagement without jerks when shifting gears and makes the rear differential less clunking. The gear oil allows the transmission synchronizers to achieve the same speeds faster. It is suitable for racing limited-slip differentials. This bottle design does not fit every pump. So it can be required to get an empty container with a pump to transfer the fluid to the differentials. The biggest advantage of Honda fluids is that they are originally produced by the Honda Company. In such a way, the producer guarantees the high quality of the fluid. 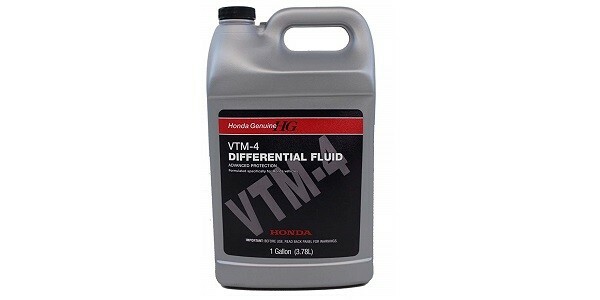 Honda 08200-9003 oil is created for the differentials of Honda and Acura wheel-drive vehicles equipped with the VTM-4 system. This is the only fluid suitable for pouring into the rear-wheel-drive gearbox of VTM-4 vehicles. Its distinguishable feature is a super resistance to the shifts of temperature. It completely eliminates any moaning sound that often occurs at cold or when starting a turn: using Honda 08200-9003 differential fluid, the sound stops at once. It conforms to the latest standards of resource-saving oils according to API, ACEA, and ILSAC classifications. This is an original differential fluid for Honda and Acura rear axle gearboxes, which has superb lubricating stability and provides excellent wear protection. It requires a suction pump to get the fluid from the jug and pour it into most filler holes. Mobil Delvac Syn Gear 75W90 is a fully synthetic fluid created to meet high-performance requirements. This product is intended for usage in the transmissions with a high load, which work under extreme pressure and shock loads. It also works with the applications that require using oils with relatively high viscosity and superb bearing capacity. 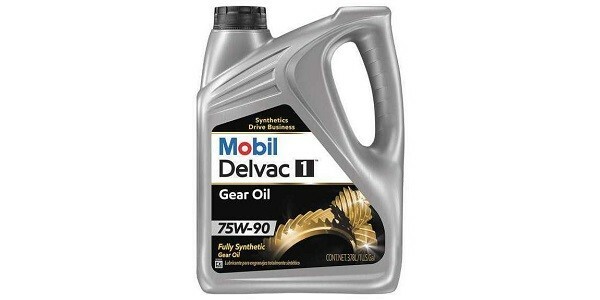 Mobil Delvac Syn Gear 75W90 contains a synthetic base oil and modern type of additives that make it much more effective compared to mineral base oils. When using Mobil Delvac Syn Gear 75W90, gear shifting becomes smoother right away. The most advanced oil technology secures great operating performance over a wide temperature range and promotes protection against thermal decomposition and oxidation. Mobil Delvac Syn Gear 75W90 secures reduced wear and corrosion, increased shear resistance, and fuel saving. This gear oil does not fit automatic, mechanical or semi-automatic transmissions, which usually require engine or automatic transmission oils. It is not recommended for vehicles that require API GL-4 type oils. Royal Purple ROY01300 gear oil is created to achieve the maximum efficiency and satisfy the demands of high-performance and modified car engines. This lubricant contains an increased zinc and phosphorus level, in particular, antiwear additive and proprietary technology Synerlec. The high-quality properties of Royal Purple ROY01300 gear oil let it be on the list of high-performance synthetic oils and allow it to exceed other moderate lubricants. The oil guarantees excellent wear protection even under the conditions of the most severe service performance. Royal Purple differential fluid is designed to work under high pressure and has a high viscosity. Royal Purple ROY01300 does not hinder axle noise and sometimes may cause an excessive gear noise so this is not a suitable gear oil for noisy differential. Mobil 1 Synthetic Gear Lube – 75W90 is a high-performance universal synthetic gear oil, the viscosity grade of which meets the requirements of the modern passenger car transmissions that work in all operating conditions, including gears with locking differentials. Mobil 1 Synthetic Gear Lube – 75W90 secures work in very high and low temperatures and ensures optimal viscosity-temperature properties. Mobil 1 is acknowledged to be one of the best gear oil for differential. However, it is not very suitable for limited-slip vehicles because it does not have enough limited-slip friction modifier. The lubricant ensures the protection from thermal and oxidative decomposition, wear, and corrosion. 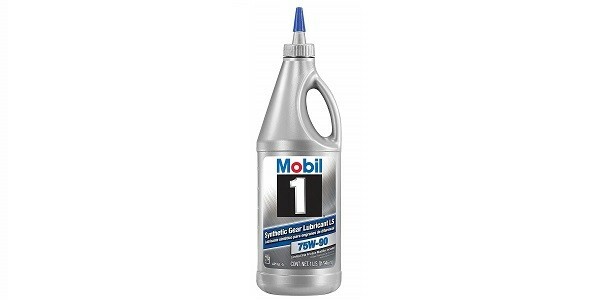 Mobil 1 Synthetic Gear Lube – 75W90 reduces viscosity loss when the gears friction and shear. The oil secures extended drain intervals and fuel economy. It does not fit all vehicles so it may be needed to buy a different additive, in addition, to get the result. How Do I Know If My Rear Differential is Bad? 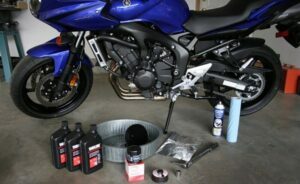 Viscosity is one of the most essential gear oil properties. Usually, it’s mentioned in a component’s maintenance manual. In case if there is no manual or a machine works somewhat differently, there are special methods for viscosity grade selection. Most methods involve such criteria as load, speed, and temperature. The most common method is the ANSI / AGMA standard. There are other methods so you can find the one that suits you the best. Additives used in differential fluid define its general category. There are 3 main categories: R&O, antiscuff, and compounded. R&O (rust and oxidation inhibited) lubricants secure chemical stability and corrosion protection. Antiscuff lubes additionally to R&O properties maintain special additives, which provide a stronger film. A compounded lubricant is a synthetic fatty acid that ensures increased lubricity and film strength. Base Oil Type is either mineral or synthetic. Mineral base suits most applications and typically has a higher pressure-viscosity coefficient compared to synthetic ones. 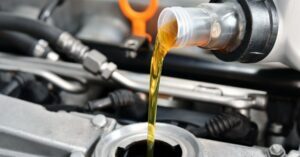 However, many synthetic base oils present greater oxidation and thermal degradation resistance that make them better for applications with high operating temperatures. The differential fluid change is a necessary procedure, especially for the vehicles with a manual gearbox. As well as engine oil, gear oil needs to be changed: it will optimize the performance of a car and reduce wear. Oil should be regularly changed because, with time, its additives lose their properties and cease to provide reliable protection of working surfaces. As a consequence, the differential gears produce noise, which will get increased, and after 30 000-60 000 miles, the gear teeth begin breaking down. Eventually, a gearbox will be jammed. In order to avoid this, the manufacturers recommend changing the differential fluid every 50 000-60 000 miles, and in case of intensive “acceleration-braking” driving, the change is required every 30 000-40 000 miles. It’s necessary to take decisive actions as soon as possible if you hear strange sounds, switching gears, or notice oil leaking from under the gearbox. Also, the machine may produce increased vibration. Well-functioning differential doesn’t present any of these signs. In order to find out the malfunction cause, experts advise checking the level and color of oil in the transmission. Low-level and dirty oil can damage the gears. The differential may deteriorate if improper oil is selected. That’s why it’s so much important to choose the most suitable oil for differential. If oil is mistaken, there can be slippage and vibrations, as well as fuel consumption and wear increase. If differential or transmission whines, it may be the sign of the bearing wear. If these bearings are not replaced in time, the gearbox may jam that will lead to costly repairs.